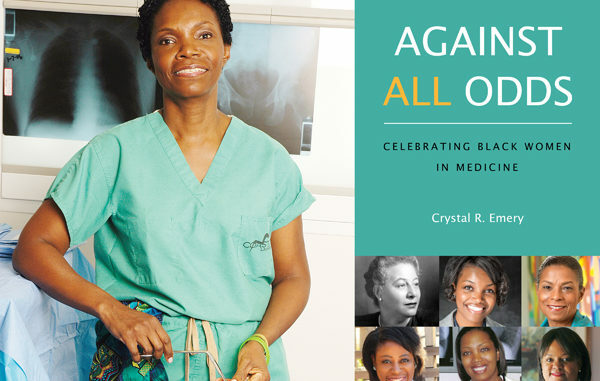 This holiday season people can give the gift that keeps on giving with “Against All Odds: Celebrating Black Women in Medicine.” The inspirational coffee-table book, by Crystal R. Emery, highlights the trailblazing careers of Black female doctors who triumphed over many obstacles to succeed in a male-dominated field. Complete with glossy photos and essays on its more than 100 subjects, the book will serve to entertain and inspire readers of all ages through the stories of these intrepid women. From narratives on 19th century pioneers including Rebecca Lee Crumpler, Emma Reynolds and Matilda Evans — who were among the first Black women in the U.S. to receive medical degrees — to stories of modern-day heroines working to provide fair and adequate medical access to people of all backgrounds, “Against All Odds” gives readers new insight on the history of the medical field in America and its current-day challenges and triumphs. Emery wrote the book as the companion piece to her documentary film “Black Women in Medicine,” which was released theatrically in 2016 and is currently airing on public television stations across the country. The aim of both the film and the book is to educate and motivate young people to fulfill their potential and follow their dreams. An inspiration herself, Emery is a quadriplegic who has used her career as an author, actress, artist, filmmaker and playwright to encourage people to challenge barriers they face. Using the book in 2016, Emery launched a national campaign, “Changing the Face of Medicine,” together with former U.S. Surgeon General Dr. Joycelyn Elders. The goal is to help increase the number of Black doctors in the United States from 4.5 percent in 2016 to 7 percent by 2030. Purchase of the book assists Emery in reaching young people around the country and urges them to reach for the stars. Brimming with uplifting life and career stories, quotes and beautiful photos, “Against All Odds” will make an ideal gift for those shopping for children and young adults interested in careers in science or medicine as well as for the history buffs in the family. The book is available for purchase for $75 at http://www.changingthefaceofmedicine.org/orderbook/against-all-odds. AUTHOR OF “AGAINST ALL ODDS,” Crystal R. Emery, is photographed with the children whose images are captured on some of the pages in her book. Crystal R. Emery is an artist, author, filmmaker, actress, and playwright known for producing socially-conscious works and stories that celebrate the triumph of the human spirit. Emery is also the CEO & Founder of a nonprofit organization dedicated to education through the arts, URU, The Right to Be, Inc. In 1981, she was diagnosed with Charcot-Marie-Tooth disease, a rare neuromuscular disease. By 1999, Emery’s hands and legs became paralyzed, but her resolve was not weakened. Between 2000 and 2016, she wrote and produced a play, performed off-Broadway In the Upper Room. She conceived and coordinated a cultural festival, authored two children’s books and a book of biographical photo-essays, spearheaded education events, directed health literacy programs, produced two feature-length documentary films (The Deadliest Disease in America and Black Women in Medicine), launched an educational campaign, and obtained her Master’s Degree in Public Engagement/Media Studies from The New School in New York City.